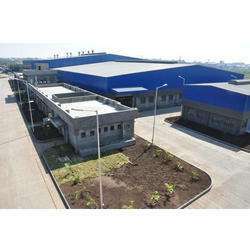 Taking quality as our prime concern, we are engaged in manufacturing and supplying Pre Engineered Building for Beverages. Incorporating ultra-modern machinery and technology, these pre-engineered buildings are manufactured with sophistication in adherence to the guidelines laid in the industry. In addition, without making any sort of compromise with the quality of these pre-engineered buildings, we have gained huge client-base. Looking for Pre Engineered Building for Beverages ?